Their geographical location in the foothills of the Carpathians exposed the Transylvanian Saxon communities to danger when the Ottoman Empire began to menace the Austro-Hungarian Empire. Their reaction was to build defensive works within which they could take shelter from the invaders. Lacking the resources of the European nobility and rich merchants, who were able to fortify entire towns, the Transylvanian Saxons chose to create fortresses around their churches, enclosing storehouses within the enceintes to enable them to withstand long sieges. The first documentary reference to Biertan dates from 1283. In 1397 it was raised to the status of Oppidum (fortified town) and twenty years later the Hungarian King granted it droit de l’épée (jus gladii ), i.e. the right to bear arms. From 1572 to 1867 Biertan was the See of the Evangelical (Lutheran) Bishop of Transylvania, and as such played a major role in the cultural and religious life of the considerable German population of the region. While there are technically only seven churches which are included in the world heritage list, there are many churches of very similar architecture and age located in Transylvania. Many of the churches in the region have had little to no attempts to preserve them. I visited several churches which were looted after the fall of the communists and have had no attempts at conservation. The fortified churches were designed to protect the villagers from the many invading armies which passed through the region. The villages with fortified churches in Transylvania is a collective property and cultural site inscribed by UNESCO in 1993. It is one of the UNESCO World Heritage Sites in Romania. According to UNESCO, this is the best example of a defensive vernacular architecture. The fortified churches and the villages around it were established by the Saxon settlers in Transylvania. The fortified churches that were recognized by UNESCO as part of the world heritage site listing were built from the 13th to the 16th centuries. The villages in Transylvania were often built around the church. Their goal was to provide protection to the Turks and Mongols. There are six former Saxon villages and one Szekely village that are comprised within this world heritage site: Biertan, Calnic, Darjiu, Prejmer, Saschiz, Valea Viilor, and Viscri. In 1999, the site was revised and extended. The origin of the villages with fortified churches in Transylvania started in the 12th century during the time of the Saxon invasion. German colonists settled in the area wherein they established their own community. This community was known to be made up of farmers, merchants and artisans. This region, however, was constantly under attack by the Tatar and Ottoman Empire. Hence, this prompted the Saxon settlers to build various fortifications. The most valuable towns were fully fortified while the smaller villages sought protection on the fortified churches. Defensive towers and storehouses were also constructed to these churches in order to withstand long sieges or to provide a safe haven for goods to be kept in. As mentioned above, there are 7 fortified villages and churches that make up this UNESCO World Heritage Site. The first of them is Biertan, which belongs to Sibiu county. The Biertan Fortified Church is the main attraction in this village wherein it was briefly a Roman Catholic church until it became a Lutheran church. It features a Romanesque architectural style and was constructed in 1486 but was completed in 1524. The next fortified village comprised within this UNESCO property is the village of Calnic. The Calnic Citadel is the most notable structure within this village, which was built by a nobleman who later sold it to the ethnic German Transylvanian Saxon community. The third village is Darjiu, which was located in the Harghita county in Romania. The Darjiu fortified church is the most notable attraction within this fortified village. 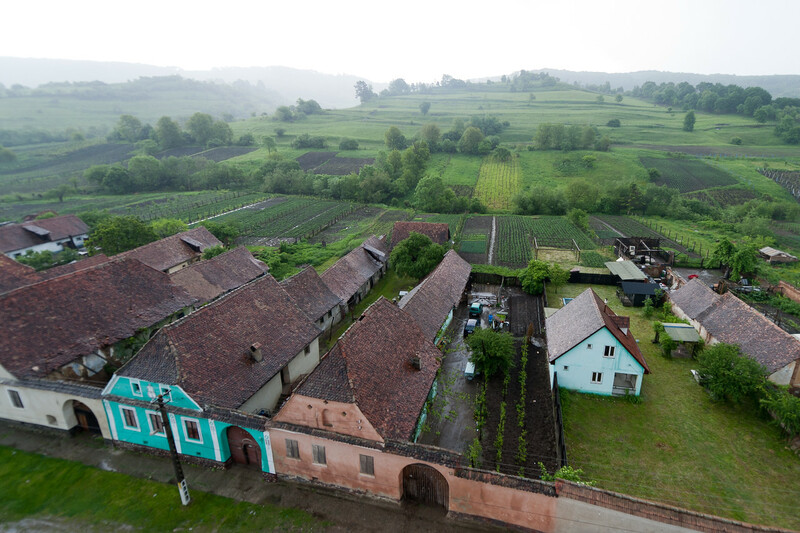 It is the only Szekely Hungarian community within this property of villages with fortified churches in Transylvania. Aside from being used for its defensive purpose, it is also notable for its interior frescoes. 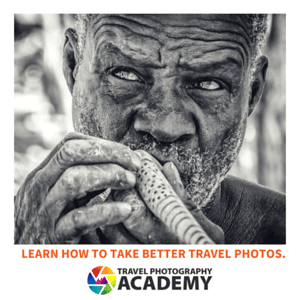 The fourth village in this list is found within the county of Brasov: Prejmer. 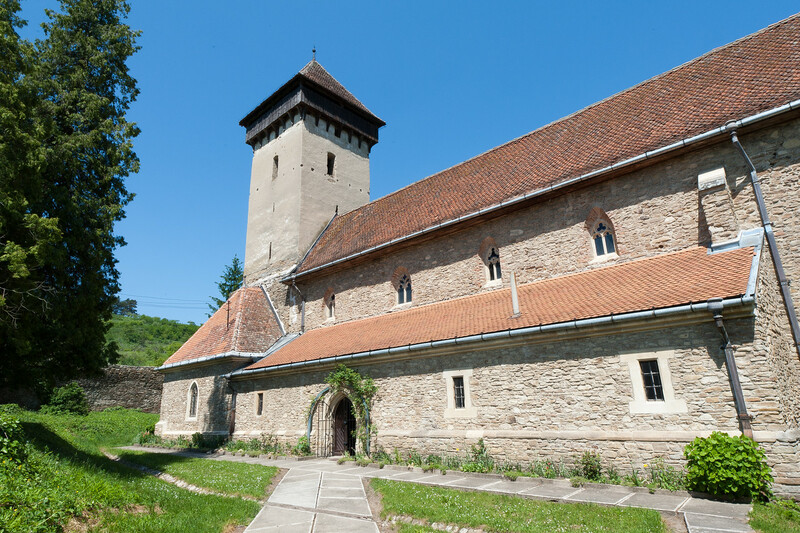 The Prejmer fortified church is the main structure that is recognized by UNESCO, which was once a Roman Catholic church that was converted into a Lutheran church during the Reformation. Next on the list of villages with fortified churches in Transylvania is Saschiz. It belongs to the Mures county in Romania. The Saschiz Fortified Church, Saschiz Peasant Citadel and its surrounding villages form part of the UNESCO property in Transylvania. Meanwhile, completing the list of villages and fortified churches in Transylvania that make up the UNESCO site are the villages of Valea Viilor and Viscri. The Valea Viilor fortified church and Viscri fortified church are the most notable attractions that are recognized by UNESCO within these said villages. 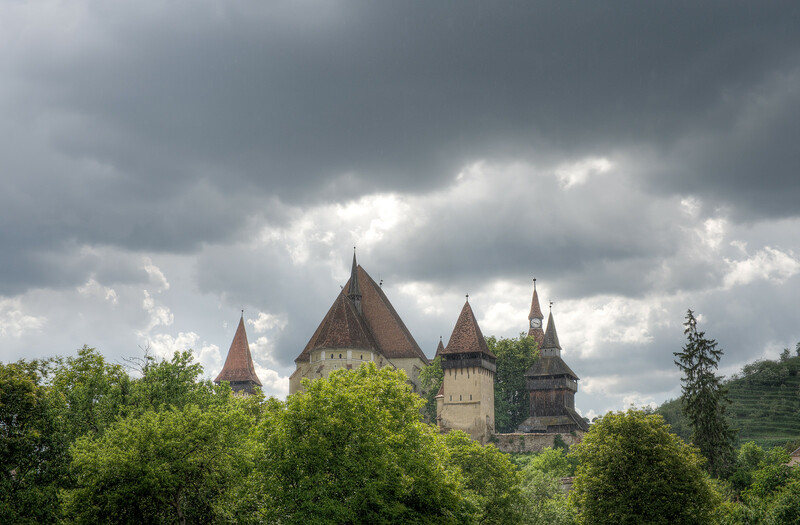 View my complete list of UNESCO World Heritage Sites in Romania. Unfortunately the text contains a serious error. Even in 11th century Hungarian kings attacked the local population who lived in Carphatian region. Locals were descendants of the Dacians who had ruled the region for centuries. Hungarian chronicles say that it was uninhabited territory. But the theory is false because no one would have left the land that had gold and silver ores, salt, iron and forests. After being attacked locals withdrew in forests or crossed the Carpathian Mountains, but each time returned. Transylvania is a place of special beauty and no one would have left these places as Hungarian chronicles comment. Romanian population existed in these territories long front on the Hungarians to settle on these lands. Subsequently fortified churches in Transylvania and fortresses were built as defense systems against Tartars and Turks. We have visited most of these medieval relics. Some are in good condition today. Others are ruined. UNESCO intervention to save them is the only solution. Please use Google Translate to translate text from Romanian into English.